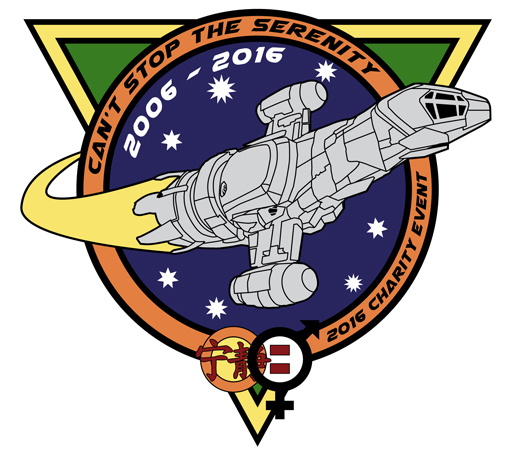 New Melbourne Browncoats, Inc. | We’re on the hunt for donations of shiny swag for CSTS! We’re having a Browncoat Trivia Event for Charity! Browncoat Trivia raises over $1000 for WIRE! We’re on the hunt for donations of shiny swag for CSTS! Planning for Can’t Stop the Serenity Melbourne 2016 has begun! We’re aiming to make this year’s event our best yet, and to do that we need your help! Do you have any goodies that you’d like to rehome? We are on the hunt for donations of shiny swag for our auctions and raffles. So if you’ve got something you’d like to donate, please let us know! Proceeds from our CSTS fundraising activities will be donated to Equality Now and WIRE (Women’s Information & Referral Exchange). You can contact us on facebook or send us a wave at csts@newmelbournebrowncoats.com.